Chose any style stainless steel or fiberglass sink and Arkay will install the plumbing package ideally suited for you professional needs. Arkay's factory installed plumbing packages conceal all plumbing connections behind the backsplash, allowing installation against the wall. 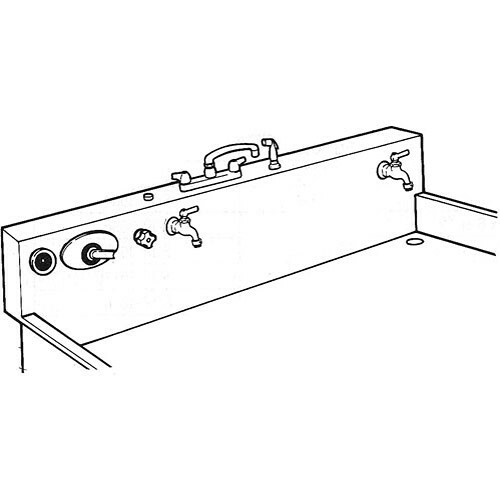 K200DS hot and cold swing faucet with sprayer for top of sink.